When the flame went out in Beijing, atheltes posted 43 world records and 132 Olympic records. The U.S. led the medal count with 110 overall. The Beijing Olympics came to a close, but how do you make sense of a whirlwind 17 days? Our experts recap the winners and losers, the highs and lows. • Caple: Pass or fail for China? | Forde: One last Dash ... so long, Beijing! Michael Phelps won a record eight gold medals. Team USA returned to the top of the podium. Usain Bolt turned into a superstar. Check out all of their accomplishments and more. The breakdown of every venue in China. 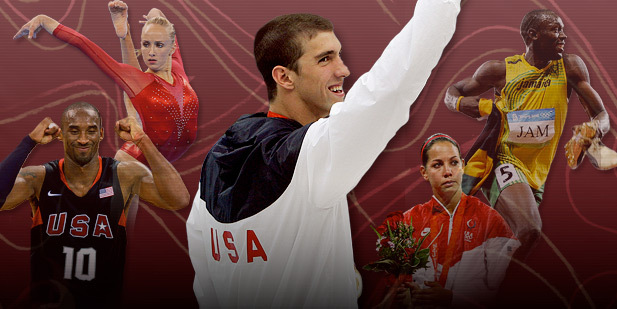 Key moments and stars from every Summer Games. Athlete bios and stats, past and present. It's all in our Olympic Fan Guide. •More Merrill | Will gold loss save softball?